who says women should be modest? Does my body look too real in this? The French government is copping lots of flack for its ban on face covering in public, and rightly so, for outright bans are rarely effective, and this one is seen, rightly or wrongly – and probably rightly – as discriminating against Moslem women and the burqas that some of them wear. However having said that, I’m no fan of the burqa, or any form of dress that sharply divides women from men (I love women in suits, and I wish I had the courage to wear skirts in public – I’m still considering buying one of those kilts I saw advertised on Facebook recently). But the burqa seems particularly regressive, and it’s clearly not a coincidence that it’s an outfit favoured by the Taliban and the Islamist Saudi government. Of course there are many variations of Islamic head-wear for women, but according to the women themselves, from what I’m always hearing, they choose to wear these head trappings as a sign of modesty. It seems to me that modesty is the ‘get-out-of-jail-free’ term for these women, because modesty’s a virtue, and who’d criticise a woman for wanting to be virtuous? However, given that men and women are equal in intelligence and ability, I see no reason whatever for modesty to be a woman-only virtue. So why aren’t men wearing burqas? It isn’t a rhetorical question – I note that there’s a movement in Iran for men to wear hijabs in support of female associates targeted by the government there for being ‘improperly dressed’. Government imposed modesty. This kind of modesty is of course highly dubious, it’s about not putting yourself forward – for education, for advancement, for leadership. It’s about knowing your circumscribed place. It’s a shame because the term ‘modesty’ has I think a value that has been demeaned by this more recent cultural usage. The modesty I value is where people tend to avoid trumpeting their achievements, however impressive those achievements might be. This kind of modesty is obviously not gender based and surely has nothing to do with head coverings. However, this modesty-in-women malarky is about more than just trying not to be seen as, or even not to be, a great achiever. It’s about sexual modesty, and that’s what the covering is all about. One of the key features of patriarchy is controlling women’s sexual freedom. It really is about women as objects which need to be hidden from the lusty urges of male subjects, though women themselves are subjects only insofar as they must effectively hide or cover themselves from male appetites, otherwise they’re blameworthy and need to be punished. So all this stuff about female headcovering is essentially about female sexual control, which is of course most effectively achieved if females internalise the idea and exercise the control themselves, thereby assenting to and bolstering the patriarchy that deprives them of sexual and other freedoms. Banning these head-coverings isn’t the solution, though it might be necessary in some places for practical purposes. What we need to do is win the intellectual argument against the stifling restrictions of patriarchy, and engage women on the hypocrisy of female sexual modesty where there is a different standard and expectation for males. 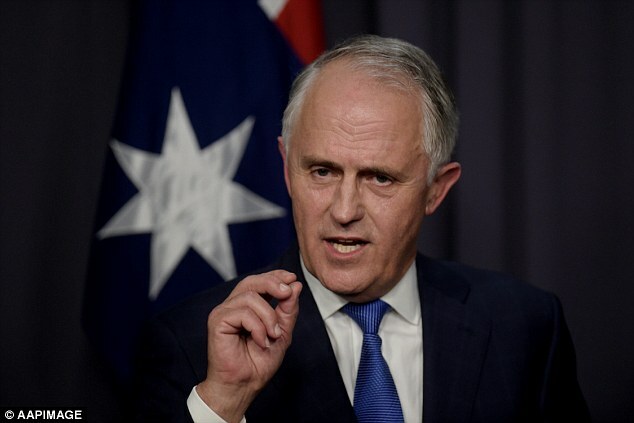 Is Malcolm Turnbull a libertarian? Jacinta: Okay so here’s a topical topic. I was listening with baited breath – I can do that, I’m a multi-tasker – to Malcolm Turnbull’s post-election speech the other day, and along with the whole nation I heard him extoll three ‘roolly good things’, in his estimation. The holy trinity – freedom, the individual and the market. Did y’all hear that? And I thought, Jeez, the libertarians among us will be doing cartwheels right now. And I further thought ‘hang on a minute Malcolm, turn that bull around’. Canto: I see, so you prefer slavery, group-think and state control? Jacinta: Ah very good, but let’s prise ourselves out of the straightjacket of ideology and slip into something more comfortable, like reality. Of course freedom’s a good thing, but of course it has its limits. And of course individuals are great, but as any mathematician will tell you, all individuals are members of a set, that’s actually what makes them individuals, and the market..
Canto: That’s not a very good analogy, I don’t think – that one about individuals. Jacinta: That wasn’t an analogy. Canto: Well… maybe, but bringing maths into it isn’t very helpful. Jacinta: Okay. Okay, let me focus on the individual thing, because that’s probably my biggest gripe – it all flows from a misconception of the individual, IMHO. Jacinta: The horrors of libertarianism. I’ve been bottling this up for years, now I’m going to let it all seethe out. And it just so happens that ‘All hail freedom, the individual and the mighty market’ is essentially the libertarian mantra. Of course I don’t take Malcolm’s mellifluencies too seriously, but libertarianism really shits me. Canto: But really – politics? Can’t we talk about water on Mars? Or Homo naledi? Jacinta: Ok I’ll try to be the soul of wit. Libertarians – and I know they come in all shapes, sizes and political colours – tend to believe in small government, minimal regulation and the invisible, wonderfully shaping and fixing hand of the market. 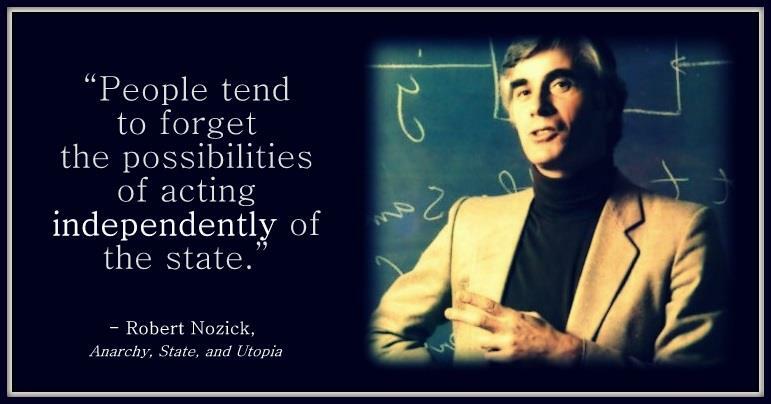 I got my first dose of libertarianism years ago when I read – or tried to read – Anarchy, State and Utopia, by the American philosopher Robert Nozick. I could barely comprehend it, but I could see it was underpinned by a sacrosanct notion of rights, particularly the rights of the individual. It was also, I thought, an overly rational analysis of how individuals might aggregate. Or rather, that’s how I’ve come to think of it since. I had no idea what to think of it at the time. Canto: So how do you think individuals aggregate? Jacinta: No no what I think doesn’t matter, it’s more about what history and psychology and sociology tells us. And they tell us about families and extended families and kinship groups and trade affiliations, becoming ever more extended and convoluted as societies grow. And all this without any concept of rights. Canto: Okay I think I see where you’re coming from. You think the individual shouldn’t be seen as the central human unit, or political unit, you’re wanting to emphasise social connections. Jacinta: We didn’t get to this situation as individuals, we got here because we’re the most socially-oriented mammals around. Our language, our technology, our superior brainpower, these are all socially constructed. And our systems of government are just ways of organising and trying to get the best out of this dynamic, interactive, co-operative and competitive society. Canto: So there are legitimately diverse views about the role of government. So what’s wrong with that? Libertarians just happen to lean towards the individualist, unregulated, small-government side. Canto: You’re trying to be scientific, but the question of what makes for an effective society will have different answers, not based on science. Some will say an effective society is one that looks after its minorities and its disadvantaged, others will say that diversity and dynamism is key, and this means inevitably that there will be winners and losers. How can there be an objective, scientific definition of an effective society? Jacinta: Okay, I concede your point that there are a range of legitimate views on this, but I would be guided by what works, and that would reduce the range of legitimacy. Extreme libertarianism – of the ‘there is no society, only individuals’ kind – seems to me to be paradoxically an outcome of the success of certain societies in educating and empowering their members, so that they start to fantasise about themselves as ‘self-made’ and owing nothing to anyone. It’s delusional and would result in scrapping all history has taught us about the communities of language and shared knowledge and values which have shaped us. It’s an ahistorical ideology which has never been instantiated anywhere. Not to mention its arrogant (and ultimately self-defeating) selfishness. Of course the other extreme is also unworkable, that of communism with an equal share of communal goods, which would stifle innovation and diversity and would have to be imposed from above. Jacinta: There’s no perfect or perfectly fair society, just some are fairer than others, and it’s an endless balancing act, it seems to me, between encouraging the freedom to develop ideas and ‘get ahead’, and protecting others from being exploited and done down. So to me it’s a matter of pragmatism and endless adjustment rather than gung-ho ideology. Individuals are pretty well infinitely complex so you would expect society to multiply that complexity to to a new level of infinity. 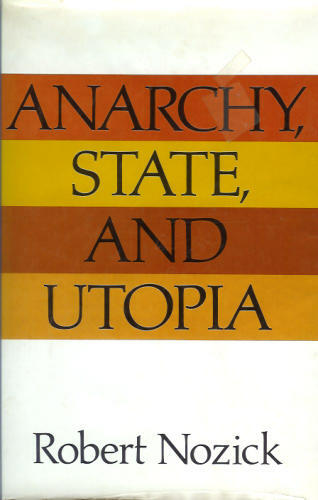 Canto: But I notice that many libertarians tend to avoid going on about ‘society’, they prefer to focus their ire on ‘the state’, as if it’s the enemy of society. Jacinta: Oh yes, good point, the rhetoric goes that the state is this abstract, inhuman monster that steals our money, stifles our initiative and makes a mess of everything it touches. Insofar as it consists of people, it consists of really dumb or power-mad types who haven’t seen the light and just don’t realise that society functions better either without the state or with a minimalist one. They’ve never been able to point to any evidence to support their claims though. Essentially, the libertarian ‘state’ has been trialled in the real world even less than the communist state, its polar opposite, has been. Canto: So how is it supposed to work? Jacinta: Well, clearly there are libertarians of many different types and degrees who would argue endlessly about that. But many of them seem to think it would grow ‘organically’ through adherence to certain basic principles, one of which has to do with the primacy of private property, though I’m not sure how to articulate it. Another is that no law or imposition should be applied that interferes with an individual’s liberty, the idea being I think, that you’re free to do what you like as long as it doesn’t interfere with everybody else’s right to do what he or she likes, which when you think about it is a recipe for disaster, because who decides between competing claims – for example my right to enjoy the peace and quiet of my own residence versus my neighbour’s right to play shite music all night with the volume up to eleven? Canto: Aww, is that neighbour still bothering you Jass? Canto: Which is exactly what you were doing mate. Canto: Ah yes, a defining moment in the Great Australian Class War. So you made mince-meat out of him with your graphite, carbon-fibre and kevlar weaponry? Jacinta: Well, it’s never been very important to me – I mean, as part of his harangue, this guy said something like ‘how would you like it if someone came into your garden and started..’, and my honest answer would’ve been that it wouldn’t have bothered me, certainly nothing like the way it bothered him. And the comparison was odorous anyway, I didn’t own any spacious grounds, I wasn’t born into that world. The way this guy mentioned private property, as if it was his Lord and Master, to be protected and fought for with life and limb, it just sickened me. Jacinta: Yeah, I suppose our intellectual positions are just post-hoc rationalisations of some basic feelings. Canto: Reason is but the slave of the passions and all that. Anyway, I’m keen to get on to some of those more interesting topics. So let’s get back to the original question – is Malcolm Turnbull a libertarian? Jacinta: Well the correct answer is that he didn’t say enough, in that first Prime Ministerial speech, for us to make that inference. He believes strongly in freedom. So do I, of course. He believes in the individual. So do I, and I believe individual expression and effort should be nurtured. He believes in the market or markets. I most certainly do too, as sources of exchange, cross-fertilisation, community and growth. The devil or delight is in the detail. I mean, I’ve called his statement a libertarian mantra, which it is, but it’s also classical liberalism. In the end, though, we need to judge governments on their actions, not their words. We’ll have to wait and see. Oh,rats – they’ve exposed the conspiracy! Food irradiation is a well-known process for preserving food and eliminating or reducing bacteria. It’s used for much the same purpose that pressure cooking of tinned food is used, or the pasteurization of milk. All food used by NASA astronauts in space is irradiated, to reduce the possibility of food-borne illness. According to the US Department of Health’s Center for Disease Control and Prevention (CDC), irradiation, if applied correctly, has been clearly shown to reduce or eliminate food pathogens, without reducing the nutritional value of the food. It should be noted that irradiation doesn’t make food radioactive. I’ll look at the science of irradiation shortly. Of course it’s not a cure-all. For example, it doesn’t halt the ageing process, and can make older fruit look fresher than it is. The reduction in nutritional value of the food, caused by the ageing process, can be masked by irradiation. It can also kill off bacteria that produce an odour that alerts you that the food is going off. Also, it doesn’t get rid of neurotoxins like those produced by Clostridium botulinum. Irradiation will kill off the bacteria, but not the toxins produced by the bacteria prior to irradiation. Three different types of irradiation technology are used, using gamma rays (cobalt-60), electron beams and x-rays. The idea is the same with each, the use of ionising radiation to break chemical bonds in molecules within bacteria and other microbes, leading to their death or greatly inhibiting their growth. The amount of ionising radiation is carefully measured, and the radiation takes place in a special room or chamber for a specified duration. When radioactive cobalt 60 is the energy source, it’s contained in two stainless steel tubes, one inside the other, called ‘source pencils’. They’re kept on a rack in an underground water chamber, and raised out of the water when required. The water isn’t radioactive. Food products move along a conveyor belt into a room where they’re exposed to the rack containing the source pencils. Gamma rays (photons) pass through the tubes and treat the food. The cobalt 60 process is generally used in the USA. An Electron-beam Linear Accelerator generates, concentrates and accelerates electrons to up to 99% of light-speed.These electron beams are scanned over the product. The machine uses energy levels of 5, 7.5 or 10 MeV (million electron volts). Again the product is usually guided under the beam by a conveyor system at a predetermined speed to obtain the appropriate dosage. This will clearly vary with product type and thickness. The X-ray process starts with an electron beam accelerator targeting electrons on a metal plate. The energy that isn’t absorbed is converted into x-rays, which, like gamma rays, can penetrate food containers more than 40cms thick. Shipping containers, for example. Most of the radiation used in these processes passes through the food without being absorbed. It’s the absorbed radiation, of course, that has the effect, destroying microbes and so extending shelf life, and slowing down the ripening of fruits and vegetables. The potential is there for food irradiation to replace chemical fumigants and fungicides used after harvest. It also has the potential, through the use of higher doses, to kill contaminating bacteria in meat, such as Salmonella. Food irradiation is a cold treatment. It doesn’t significantly raise the temperature of the food, and this minimises nutrient loss or changes in texture, colour and flavour. The energy it uses is too low to cause food to become radioactive. It has been compared to light passing through a window. Food irradiation uses the same principle as pasteurization, and can be described as pasteurization by energy instead of heat, or cold pasteurization.. In Australia and New Zealand, only herbs and spices, herbal infusions, tomatoes, capsicums and some tropical fruits can be irradiated. FSANZ has established that there is a technological need to irradiate these foods, and that there are no safety concerns or significant loss of nutrients when irradiating these foods. Irradiated food or ingredients must be labelled clearly as having been treated by ionising radiation. Since 1950 hundreds of studies have been carried out on animals fed with irradiated products, including multi-generational studies. On the basis of these studies, food irradiation has been approved by the World Health Organization, the American Dietetic Association, the Scientific Committee of the European Union and many other national and international monitoring bodies. Of course this hasn’t stopped many individuals and organisations from complaining and campaigning against the practice. Concerns include: chemical changes harmful to the consumer; impairment of flavour; the destruction of more ‘good’ than ‘bad’ bacteria; and that it’s an unnecessary process which runs counter to the movement towards regional product, seasonality and real freshness. I’ve already mentioned other problems, such as that it can mask spoiled food, and that it doesn’t destroy toxins already released by bacteria. Food products must be irradiation-free if they are to certified as ‘organic’, in Australia and elsewhere. Now, I’ve fairly regularly expressed irritation with the ‘organic’ food ideology, most particularly in this post, but I recognise that it appeals to a very diverse set of people, with perhaps a majority simply believing, on faith, that ‘organic’ food will be more nutritious, safer and better for the environment than conventional food. Most of those people wouldn’t know much about food irradiation, but hey, it sounds dodgy, so why not avoid it? I’ve no great argument to make with such people, apart from the old ‘knowledge is power’ arguments, but there are a few individuals and organisations trying to get food irradiation banned, based on what they claim to be evidence. Unsurprisingly, most of these critics are also ‘organic’ food proponents. I’ll look at some criticisms from Eden Organic Foods, a US outfit, which admittedly represents the extreme end of the spectrum (nature before the fall?). Firstly, in their ‘factsheet’ on irradiation, linked to above (and reprinted verbatim here by another alarmist organisation, the Center for Food Safety), they waste no time in informing us that the beams used are ‘millions of times more powerful than standard medical x-rays’. This sounds pretty scary, but it’s a bogus comparison. Irradiation is designed to kill bugs and bacteria, whereas medical x-rays are for making visible what is invisible to the naked eye. Clearly, the first and foremost concern in testing and studying the technology is to make sure that the chemical changes it induces are safe for humans. Comparisons with medical x-rays are more than irrelevant to this concern, as the author of this factsheet well knows. Wow. So much for the poor people of Brazil – they’re obviously done for. But how is it that the world’s top scientific agencies missed all these mutagens and carcinogens? Let’s take a closer look. The term ‘radiolytic products’ simply means the products created by chemical changes that occur when food is irradiated. Similarly, the products created by heat treatment, or simply cooking, might be called ‘thermolytic products’. These are not ‘strange’, they’re quite predictable, for irradiation would be totally ineffective if it didn’t bring about some chemical changes. One of the differences is that radiolytic products are generally undetectable and produce only minor changes in the food compared to the major operation we call cooking. It is, of course, precisely these products that the scientific community scrutinises when determining the safety of irradiated foods. The report states that “on the basis of this definition no unique radiolytic compounds have been found in 30 years of research. Compounds produced in specific foods by ionizing energy have always been found in the same foods when processed by other accepted methods or in other foods” (Vol. 1, p. 15). Scientists find the changes in food created by irradiation minor to those created by cooking. The products created by cooking are so significant that consumers can smell and taste them, whereas only a chemist with extremely sensitive lab equipment may be able to detect radiolytic products. Needless to say, alarmists thrive on these contradictions. So what evidence is there of mutagenic irradiation byproducts? Well, there are radiolytic byproducts of fatty acids in meat, called alkylcyclobutanones (2-ACBs), first detected a few decades ago, and the research done on them seems to be so far inconclusive. A book entitled Food Irradiation Research and Technology, the second edition of which was published last year, states that ‘knowledge about the toxicological properties of 2-ACBs is still scarce’, and that ‘it may be prudent to collect more knowledge on the toxicological and metabolic properties of 2-ACBs in order to quantify a possible risk – albeit minimal.’ The book describes a number of studies on rats and humans, going into more detail than I can comprehend, but the results have been difficult to interpret and generally not easily replicable in other studies, indicating very minute and hard-to-measure effects. No doubt such studies will be ongoing. As far as I know, 2-ACBs are the only products about which there is any concern. What is obvious though, in looking at the research material available online, is the difference between the caution, skepticism and uncertainty of researchers compared to the adamantine certainty of such critics as the Center for Food Safety. But what about polyploidy? Polyploid cells contain more than two paired sets of chromosomes. Eukaryotic cells, those of multicellular creatures, are diploid (two sets), and prokaryotic, bacterial cells are haploid (one set). Polyploidy is regarded as a chromosomal aberration, common in many plants and some invertebrates, but relatively rare in humans. However it is present in humans, and the percentage varies from individual to individual, and within individuals from day to day and week to week, depending on a range of factors including diet, age, and even circadian rhythms. Levels of up to 3-4% in human lymphocytes have been found in healthy individuals, though some researchers have claimed much higher percentages, in liver cells. The overall finding so far is that fluctuations in polyploidy are the norm, and no clear correlation has been found so far between these fluctuations and health profiles. It seems that the biological significance of polyploidy isn’t known. Critics of irradiation have been going on about polyploidy and other mutations supposedly caused by irradiation for decades, and unsurprisingly, some are fanatically obsessed with the issue, accompanying their rants with long reference lists, mostly from like-minded activists. However, the text Safety of irradiated foods, 2nd edition discusses polyploidy in some detail, with particular reference to a study of malnourished Indian children fed irradiated wheat, a study regularly cited by anti-irradiation activists. It turns out that there were many problems with the study. First, not enough cells were counted to validly pinpoint an effect, such as a change in diet. Secondly, polyploidy is notoriously difficult to detect – superimposed diploid cells can be easily mistaken for polyploid cells under a microscope (in fact when two independent observers looked at the same microscope slides, one found 34 polyploid cells, the other found 9). Further, the study only gave group results rather than individual results, so it wasn’t possible to know whether the polyploidy was restricted to one or two individuals rather than spread over the group. Another problem was that the reference or control group was found to have no polyploidy at all, a very strange finding given that other researchers always found some degree of polyploidy in their subjects, regardless of irradiation or other effects. In fact, the study was so poorly written up that it’s impossible to replicate – for example the exact diet given the children wasn’t described. How was the wheat fed to the children?. Presumably it was prepared in some way, but how? The omission is crucial. The study also didn’t take into account the effect of malnutrition itself on chromosomal abnormalities. And so on. You get the picture, and it’s the same with other claims about mutations and carcinogens. Every time you look into the claims you find the same problems that no doubt other scientific watchdog organisations have found – poorly conducted studies that either can’t be replicated or haven’t survived replication. That, of course is no reason for complacency, and at least the activists can assist, in their sometimes muddle-headed ways, in improving our knowledge of 2-ACBs, polyploidy and other biological effects, just as the creationists who bang on about a lack of transitional forms, or ‘irreducible complexity’, help us to focus on refutations, clarifications and further evidence. Finally, food irradiation, while clearly not the zappo-horrorshow that activists are determined to make it, doesn’t replace proper handling techniques and a good instinct about food quality. The fact is, though, that it does increase shelf life, and is a useful tool in our increasingly global economy, where food is shipped from here to there and everywhere, in season and out. If you prefer to eat locally, with fresh and seasonal produce, fine, and we can argue about the sustainability of that approach on a worldwide scale, but let’s none of us pretend that food irradiation is other than what it is. Let the evidence, properly evaluated, be your guide. I recall Daniel Dennett, in an interview on Point of Inquiry, saying that one of the main barriers to critical thinking is emotional investment in a particular position. This reminds me also of Nietzsche’s remark – a great favourite of mine – that ‘there’s no greater liar than an indignant man’. 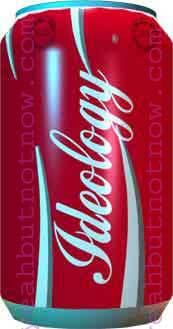 This is what ideology is all about. It needn’t be a scarey word, it’s really quite simple. An ideologue is someone who’s stuck – as we all can be from time to time. Their emotionalism or indignation has them repeating the same mantra over and over. Hence the love of slogans. Some time ago I wrote about the issue of GM food – in fact. it was the last of several posts, as mentioned there, but the title of the piece, ‘Monsanto and GMOs are not the same’, might’ve indicated that I was going to write about Monsanto. My intention, in the title, was to separate the scientific issues around GMOs from the political or business issues around Monsanto’s decisions and behaviour. I also felt a bit daunted about entering the messy arena of what seemed to be monopolistic or even standover tactics – at least according to anti-Monsanto activists. So I left the Monsanto issue alone. However, a recent analysis of Monsanto’s practices and the accusations against the company, presented on the Skeptics’ guide to the universe podcast, has emboldened me to look more closely at Monsanto in a forthcoming post. I mention all this because my writing about GMOs in the first place was inspired by an encounter with one of those ‘stuck’ ideologues. I’d known this person for years, and we were just chatting about stuff when GMOs came up. I described myself as open about the issue, whereupon she launched upon a fierce attempt to disabuse me of my openness. By the end of it she’d worked herself up into a state of great emotion, there were tears in her eyes about the horrors of this practice, and I got the distinction impression that our civilisation was at stake. Needless to say, I felt sceptical, and with good reason as it turns out. But doesn’t it always turn out that way? We tend to think of ideology as an unthinking, or insufficiently-thinking commitment to some broad set of ideas, usually political, but I don’t think it’s substantively different from most ‘I hate’ statements (or ‘I love’ statements for that matter). Over the years I’ve heard people say in my presence that they hate animals, poetry, Albanians, potatoes, Proust, ants and Asians – and I’m sure I could come up with more. All of these ‘hatreds’ were essentially ideological, that’s to say involving an unreflective emotional over-commitment. Not that it requires a heavy emotional commitment – in fact the vehemence of the declaration often masks an underlying vacillation or insecurity. It reminds me of some adolescents. Relentless ideologues are often like the worst adolescents. Stuck, again. So I see ideology differently from some. Many definitions of ideology talk about comprehensiveness and a systematic set of views, firmly held, but I prefer to focus on the emotionality inherent in all ideology. Racism, for example, is an ideology, which you might describe as all-encompassing rather than comprehensive. After all, there’s not much comprehending going on. Nor is there really all that much system. There’s just a lot of feeling, or at least a lot of display of feeling. 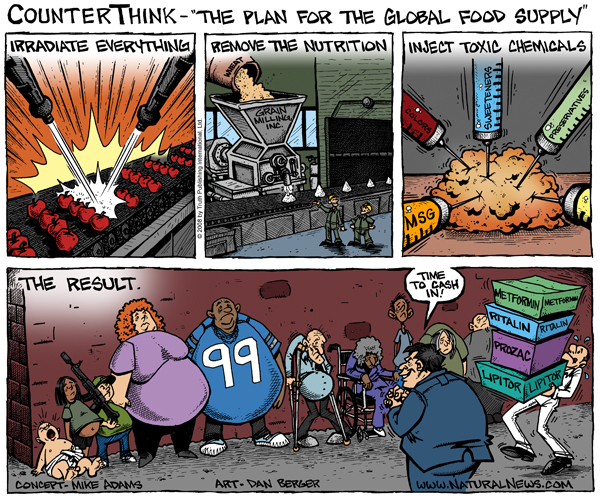 It’s the feeling that’s all encompassing, and you find it in the anti-GMO crowd, the climate change denial crowd, the conspiracy theory crowd, the anti-vaccination crowd, and so on – an intense emotional stuckness. And it is the toughest nut for skeptics to crack, and it’s all-pervasive. If we could persuade people that their feelings are the worst culprits in leading them astray,we’d be well on the way to successfully transforming our world into a more reflective one (and I’m not convinced by the claim, made by some, that we’re all ideologues). We have to start with ourselves, of course.